Cyclone Kleen Up Fire & Water Restoration crews have been working around the clock helping Leadville, CO residents remove snow after January’s winter storm. Over the past two days, our restoration teams have volunteered their time to help families in need. 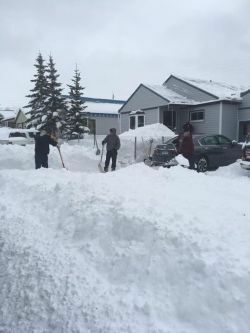 Fifteen homes have had snow removed from their porches and driveways and now are accessible. Instead of worrying about how to clean up after water or fire damage, call Cyclone Kleen Up to get your home or business back to normal. Prepare before disaster strikes! Our crews are available 24/7/365 and we are always ready.